Our two signature events, Home Sweet Home and An Evening with Ozone House, represent considerable revenue sources that allow us to meet or exceed our Annual Operating Budget. Our Development Team will work with you to customize support at any monetary level and create a package that will mutually benefit Ozone House as well as your individual business/corporation. We pledge to do our best to increase visibility for your business, provide an outlet for marketing your services, as well as increase your business/employee connection within the community. Interested in sharing our mission with your team? 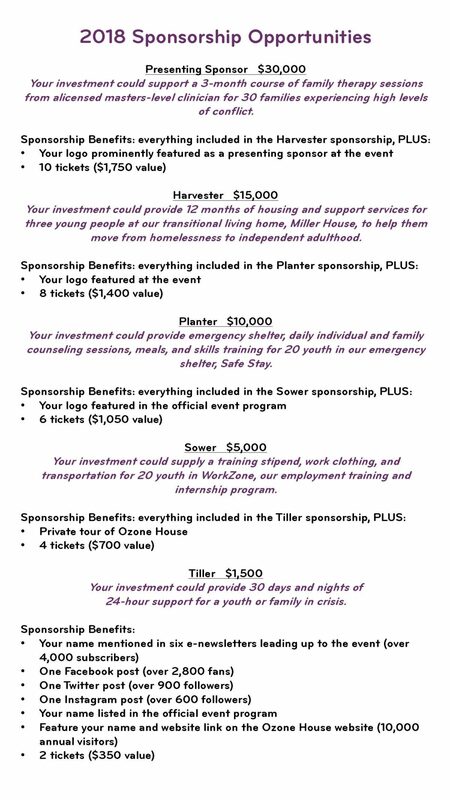 For more information on our levels of corporate support as well as other opportunities for support throughout the year, please contact our development director Allie Schachter at aschachter@ozonehouse.org. Help us Plant the Seeds for Success! Because every youth deserves the opportunity to reach their full potential for growth and happiness. 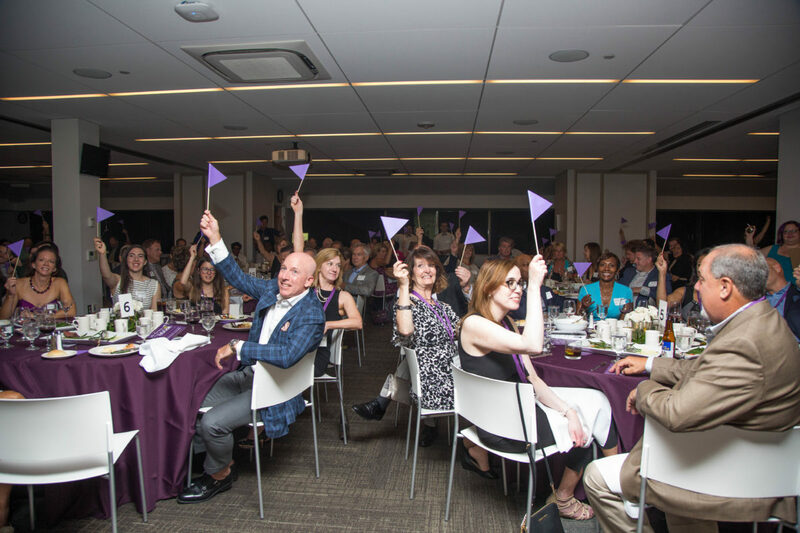 Every fall, Ozone House brings together 250+ business and community leaders to enjoy dinner, drinks, music, a silent auction, a live paddle raise, and most importantly, a chance to learn more about the life changing work we do every day at Ozone House and in the community. We are the only agency in Washtenaw County that provides these free, confidential, and voluntary services to youth ages 10-20 and their families. But we need your help. An Evening with Ozone House 2017 at Domino's World Resource Center. Presented by Masco. See our facebook live video from the 2017 Home Sweet Home event that took place on February 16 at Zingerman’s Greyline. The staff at Ozone House helps out with as much as they can. They won’t stop until you’re taken care of.